Our solution advances the principles and guidelines that have been set in Reliability-centered Maintenance (RCM), which has been the foundation of developing maintenance programs for modern, complex flight equipments. ATA MSG-3 utilizes the same RCM principles for Scheduled Maintenance Development, which demands to understand first the reliability of flight items, then the consequences of failures. We extend RCM and MSG-3 even further. By including sophisticated analytical techniques and statistical methodologies in the RCM principles, we go beyond the limited boundaries of traditional and restricted approaches in reliability analysis. While a typical reliability control that is prevalently used in the industry satisfies simply the regulatory requirements, we have created a highly advanced technology by applying leading-edge analytical methods and superior statistical concepts, all based on capturing the inherent reliability of powerplants in the most accurate way. 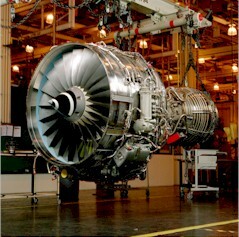 The result is a powerful, yet pragmatic, technology: Reliability-centered Advanced MRO Planning (rCAMP). Our goal is to optimize the resources that you need for your engine MRO, whether you carry the MRO operations in-house or utilize third-party providers, so that you can bring in Lean MRO in the best way possible. rCAMP is the technology for that specific objective, and our AEMPS is designed as the solution to achieve that vitally important objective.